There’s something about a strong, defined chin that’s deemed attractive. “A strong bone structure helps the face hold up against aging longer than a weak bone structure,” says New York plastic surgeon Charles H. Thorne, MD. If your chin is overly prominent or doesn’t project far enough, it can detract from the rest of your face and make your nose and neck seem larger and fatter than they are. A straightforward and simple procedure, a chin augmentation requires a tiny incision underneath the chin and the insertion of an implant. A silicone implant is often used, which can be cut and shaped before it’s inserted to enhance the result and fix the flaw. “Often when we do a chin operation, the nose is addressed simultaneously in order to produce better overall facial balance,” says Ann Arborm, MI, plastic surgeon Richard Beil, MD. 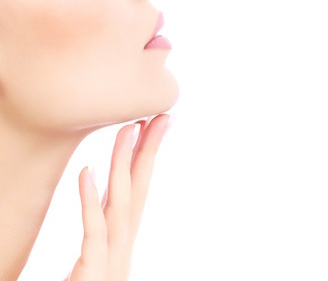 When it comes to correcting a prominent chin, the procedure is more difficult. “It’s necessary to cut the bone and move the chin point in the desired direction, fixing it into position with screws,” says Dr. Thorne. It requires a longer recovery and there’s greater risk in terms of muscle movement after the procedure because the area has been drastically manipulated. Whether you want to test drive what you could look like with a new chin, you aren’t ready for surgery or you just want a quick fix, your plastic surgeon can use fillers to temporarily augment the look of your chin. Within 20 minutes, your doctor can inject the product into your chin to add volume and create definition without physically changing the bone structure. You’ll see immediate improvement (it can last up to two years), but you may swell, bruise and experience tenderness in the area for a week or two. “We can also use fillers to address structural issues of the jaw and jawline, like when it’s pointed and lacks width,” says Miami plastic surgeon Sean Simon, MD.